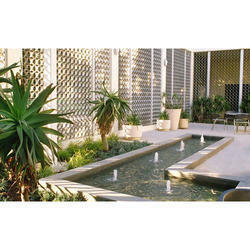 We are one of the renowned companies of Landscape Design. Our services are accomplished employing the advanced techniques. These services are extremely praised in industry due to their timely completion. We render these services in diverse terms and forms that meet on industry and client’s demand. With the help of expert’s team, our firm is capable to render Lawn Landscaping Services. These services are accomplished using the advanced technology. Our offered services are extremely admired due to their timely completion, reliability and flexibility. The approx price of 3d Landscape Design Services is 4000/- per unit. We can provide you an ultimate end of your beautiful garden, we work on Natural as well as Artificial Landscaping, whether it is ground or terrace garden. 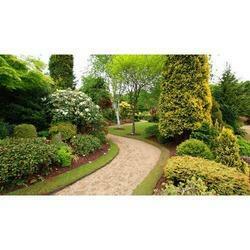 - It includes selection of plants and grass as per your budget, requirement as well as climate condi-tions. - Slope management for better view and water drain out. The office provides the complete Landscape design consultancy, which includes the comprehensive Landscape design plans, Lighting theme, Material plans, irrigation plans, rain water harvesting, Horticultural / planting plans, Bill of quantities and periodic site visits. Along with these services Graphic/ signage design services. Rainbow Designer & Associates is a design focused company which offers solutions that are not only creative but also practical and cost effective. We have a wealth of experience and expertise across multiple industry sectors and are capable to provide specialized advice and service suited to a particular discipline.